Spain has been named the number one best country to study abroad in Europe and number two in the world according to rankings released by the higher education search portal, educations.com. The 2019 rankings are based on a survey of over 20,000 students from around the world who shared the factors they believed were most important when choosing the best place to study abroad. These include achieving career goals, accessing high quality teaching and experiencing a new culture among others. Data from several industry reports were also used to rank 61 countries worldwide. Spain was rated number one in the category of best place to have adventures and third for experiencing culture, showing off two of its greatest assets. Also highlighted were Spain’s relatively cheap cost of living and high quality of life, as well as its more than 70 excellent higher-academic institutions to choose from. And what better place to study abroad in Spain than Barcelona? A major economic power in Spain, Barcelona prides itself on its innovative entrepreneurs and growing business industries. 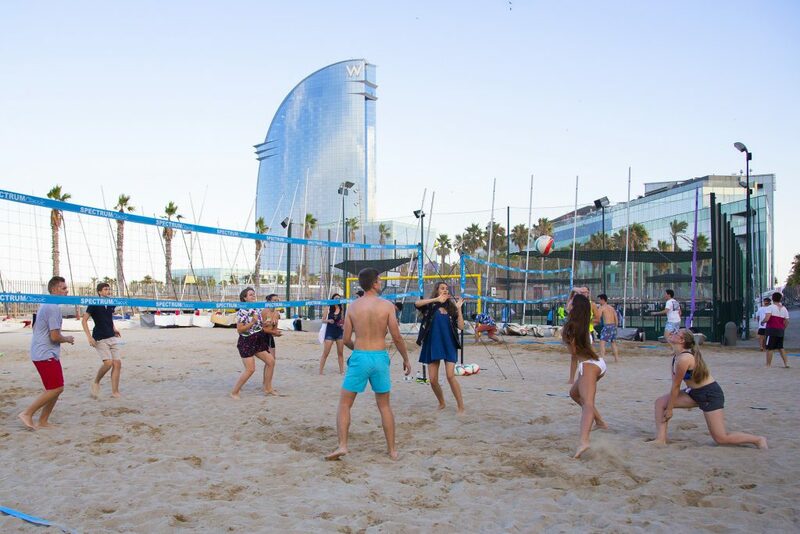 With a very reasonable cost of living and endless opportunities to play sports and socialize, Barcelona is the perfect location for your international business education. Here are the reasons why, we think, you should be studying abroad in this exciting Mediterranean city. Barcelona is well known for its thriving startup scene; with over 1,300 startups in the city it’s the biggest startup hub in Southern Europe. A key reason for this rapid growth is the huge level of public and private investment that the city receives, currently ranking fourth highest in Europe for capital investments. In 2017 alone, the city raised €772 million in investments, with three out of four startups obtaining finance from investors. This is bolstered by the government’s strong support for the startup scene, which ensures it continues to thrive by consistently providing investment opportunities and rounds of funding. Glovo, a food delivery startup, is just one of the city’s success stories. Founded in Barcelona in 2015, the company now operates in 20 countries worldwide and is reportedly valued at over €300 million. TravelPerk, Red Points and Badi are among numerous other successful startups from Barcelona. The startup community in Barcelona is welcoming and inclusive. Co-sharing spaces like Pier01, also known as Barcelona Tech City, are home to Barcelona’s most innovative startups. These hubs of innovative activity provide plenty of opportunities to learn more from industry leaders, and are underpinned with a host of networking, idea-sharing and inspirational events, perfect for those looking to launch their ideas while studying abroad in Spain. There are thousands of networking opportunities in Barcelona, with dedicated groups set up just for this purpose. This includes Startup Grind, which hosts frequent events, including talks from innovative entrepreneurs; past events include sessions from the founders of the successful apps TravelPerk and Cooltra, among others. As a city committed to equal opportunities, there are also numerous networks specifically created for women, including a Barcelona chapter of the Professional Women’s Network (PWN), which promotes and mentor entrepreneurial women. Barcelona is also famous for hosting the Mobile World Congress, the perfect opportunity for those interested in technology to network and meet industry leaders. 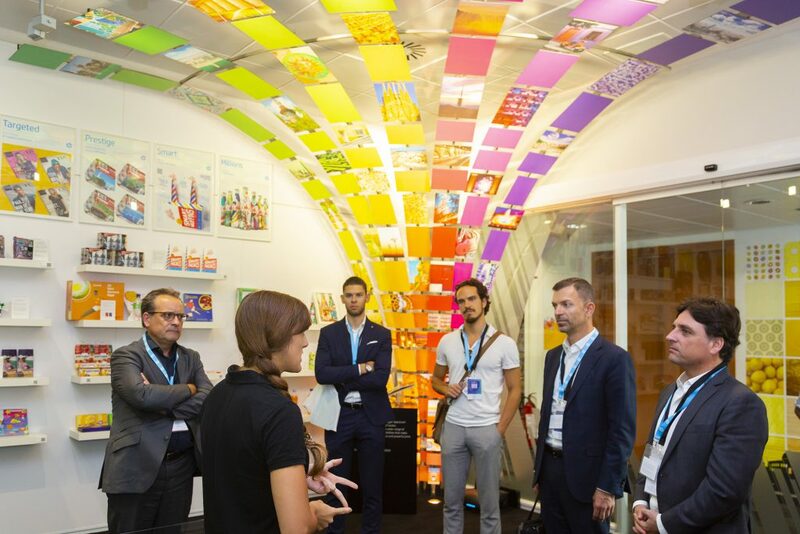 Equally good for networking are events such as eFintech and Bixbarcelona which together attract 2.5 million visitors and 30,000 companies every year. At EU Business School, we encourage and promote networking through our extensive range of events, ties with businesses and exclusive guest speakers and conferences. In the past year, we hosted events with COO of Manchester City F.C., Omar Berrada, former prime minister of Belgium, Guy Verhofstadt, and one of the world’s foremost experts on 5G, Mischa Dohler. With even more exciting events coming up, including a talk from the country director of Belgium and Luxemburg for Google, Thierry Geerts, our ‘Learning from Leaders’ series keeps students studying abroad abreast of all upcoming business trends. As well as a thriving startup scene, Barcelona is also home to many international business headquarters. Students studying in the city can make connections with these businesses, gain experience by doing internships and start their career paths. Inditex is a prime example of a huge Spanish success, with Amancio Ortega now ranking as the third richest man in the world and his stores dominating high streets worldwide. With corporate offices in Barcelona, there’s plenty of business acumen to learn from this billion-Euro empire. This is along with online travel giant eDreams and global fashion brand, Desigual having headquarters in Barcelona. Tech giants Amazon already have a base in Barcelona, with Facebook announcing earlier last year their plans to open new offices in Barcelona, games maker King and technology giant HP all have a big presence in the city. This shows the wide scope of industries that students can get involved with. Barcelona is a city at the forefront of technical innovation, thanks to initiatives by the government to fully take advantage of the Internet of Things (IoT) and become one of Europe’s leading smart cities. Through a body of interactive devices that offer smart solutions to everyday problems, the city has become more accessible and connected for its inhabitants. Since 2012 the city has seen the enormous impact and possibilities that IoT can bring. One of these innovations is the implementation of LED lights in street lamps, which work on a sensor system. Not only does this have a positive impact on the environment but has also led to the city saving money. The system works with sensors that allow the lamps to receive information about the environment, including pollution, temperature and presence of people, adjusting themselves accordingly. Other smart city implementations include smart waste disposal, that helps the city councils detect how much waste there is in any given location which leads to more effective waste collection, and a smart bus system that has been optimized for environmental sustainability; hybrid buses and bus shelters use solar panels, among other smart features. Spain is also world-renowned for its charm, culture and relaxed way of life, all of which are epitomized by Barcelona. A thriving city famous for its music, culture, sport, gastronomy and nightlife, there are endless opportunities for interesting and fun things to do. Feel inspired by the famous architecture as you wander through the grand streets of L’Eixample or visit any one of the many art galleries or museums in a region that was home to the likes of Pablo Picasso and Salvador Dalí. Foodies can also enjoy anything from traditional to experimental fare throughout the city’s many Michelin-starred restaurants and local eateries. Barcelona has a packed program of festivals which offer something for everyone. From the local festa major street parties to the city-wide cultural festival, La Mercè, you can be sure you’ll never be bored. In addition, summer sees the arrival of Primavera and Sónar music festivals and is the perfect opportunity to make the most of the sun and explore the crystal waters of the Costa Brava. Barcelona’s proximity to the Pyrenees means winter weekends can be spent on the slopes, just a short journey away. Barcelona is also well known for its welcoming and international environment, with a large community of multicultural residents. English is widely spoken, especially within the business world and you can be sure to meet people from any country in the world. There’s also a good reason so much innovation comes out of Barcelona, whether it be artistic or business related. The city is influential through its well-established arts, architecture, food and fashion scenes, showcasing the world’s best talent and never failing to surprise and inspire. This is as well as the culture of creativity and idea sharing that runs throughout the city’s business and startup scene. Barcelona’s innovative business industry and vibrant city life make it the ideal location for your international business education. If gaining business skills in the diverse city of Barcelona interests you, check out EU Business School degrees here.